Whether you are a seasoned professional in the credit repair field or just getting started, The Dispute Center offers high-quality, one-on-one credit repair business training and support to meet your specific needs and experience level. Our credit repair training can make all the difference to the success of your business. We thoroughly educated our affiliates about the credit repair dispute process keeping them up-to-date on all new regulations. Furthermore, our belief is that the more knowledge you have, the more successful you will be. 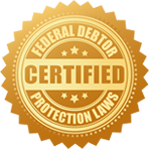 Additionally, increased confidence and awareness will instill your clients with faith and trust in your services as a credit repair authority. We put great value and importance on ensuring our training information is current and up-to-date on relevant trends, laws, and strategies. As a result, all businesses that utilize our credit repair outsourcing service will find our training support is second to none. Finally, as part of our back-office support service, our credit repair experts work with you on an individual basis and to the level of your experience; from beginner to expert. Give us a call at 616-541-2322 to take your business to the next level. We will provide you with more information about our comprehensive training program and available program options for your credit repair outsourcing needs. al cliente bilingüe en español.